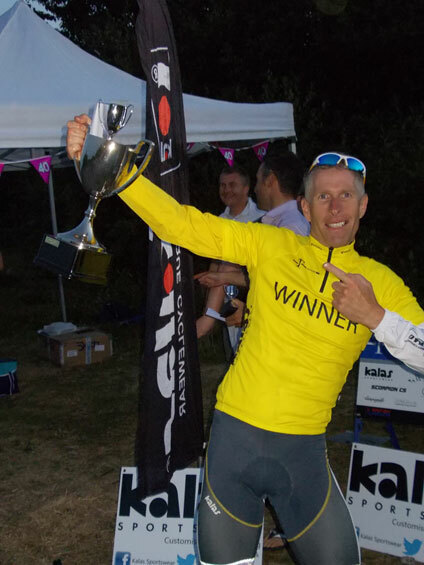 IAN IS NO ORDINARY RACING CYCLIST! In 1991 Ian Rees embarked on an international Cycle Road Racing career which saw him take part in some of the toughest Cycle Races in Europe. The race wins came thick and fast and Ian started to make a name for himself as one of the hottest Sprinters in Europe !! Suddenly his whole life changed !! Ian was diagnosed as having Type 1 Diabetes. His French Race Team of the time sadly dropped Ian due to simple ignorance surrounding the condition and he returned home to the UK and retired from racing altogether !! After several years of living with Type 1 Diabetes Ian gained a far better understanding of the condition its management and living with it every day. Ian was now determined not to let his condition defeat him and decided to start Cycle Racing again. On only his second event he bumped into one of his old professional Team mates who told Ian that he would never make it back through the ranks to gain an Elite licence after several years out! More determined than ever Ian not only got Elite racing status back but he has clocked up over 100 wins along the way and has been ranked in the Top Ten in the UK ! This year alone he has won a National Jersey, a National Series Title and whilst trying to raise awareness for his chosen Diabetes charity J.D.R.F. was the first rider home in Ride London 100 !! !